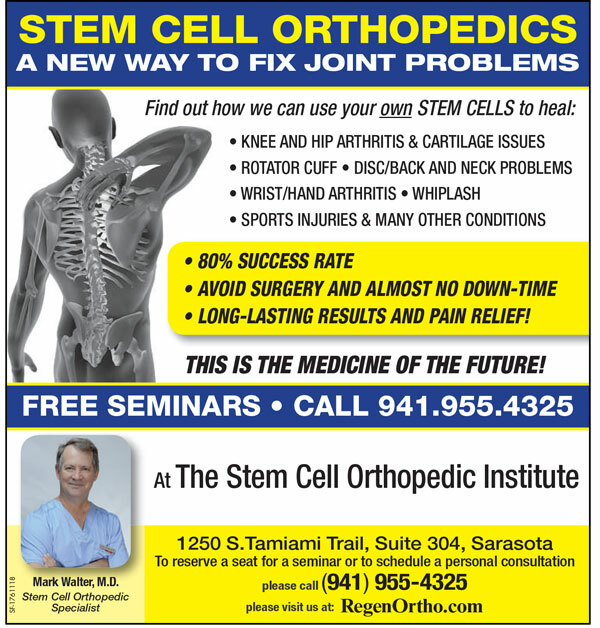 If you would like more information or have a question about Stem Cell Orthopedics please do not hesitate to give us a call. Our experienced staff would be happy to talk to you. If you’re close to the Sarasota/Tampa Bay area, a great way to get more information is to attend one of our free seminars. Our upcoming dates are listed below. Seating is limited so please call us today at (941) 955-4325 to reserve your seat. The fastest and best way to get your questions answered is to book a personal consultation with Dr. Walter. The initial consultation costs $150. and can be done in person or, depending on your location, over the phone. Call us or fill out the form below and check the box stating your interest in a consultation and we’ll get in touch with you to set it up. *For out-of-town patients we suggest sending your x-ray and MRI results by email and booking an initial phone consultation. 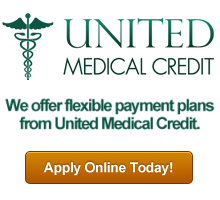 For those who decide to proceed and book a stem cell treatment, we suggest a stay in Sarasota of about 5 days. Patients generally arrive the day before and stay for 3 days after the treatment to recuperate. Patients generally are a little sore for a day or two after the treatment but are usually able to drive and fly comfortably within 48 hours. We in fact encourage patients to move around after the injections and the rehab is quite active, with very little downtime.